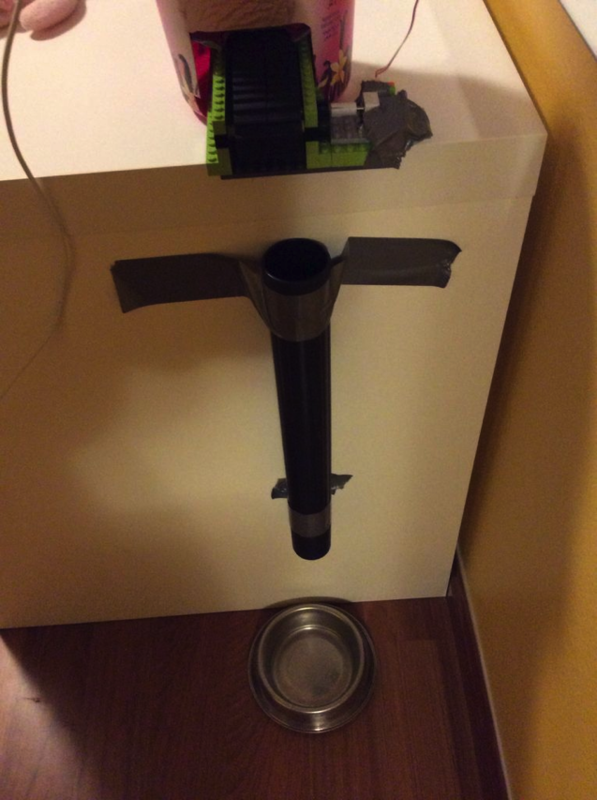 Automated Dog Feeder with littleBits and LEGOs « Adafruit Industries – Makers, hackers, artists, designers and engineers! There are 3 main parts of the feeder. The storage container, the dispensing belt, and the delivery chute. Essentially, the food stays in the storage container until the dispensing belt is activated. 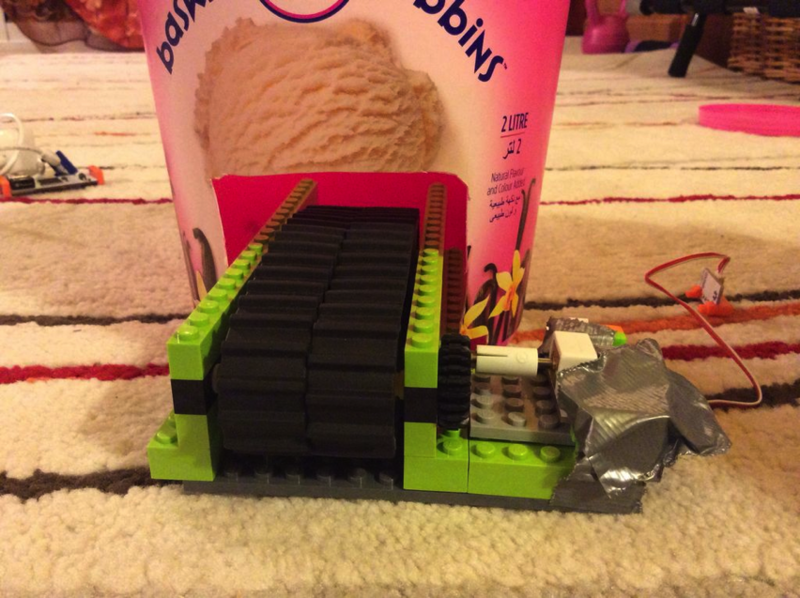 The food travels along the dispensing belt and then falls through the delivery chute, and into the bowl.